The Cotton Apron: Short Thought – Are You Warming or Chilling the Lives of Others? 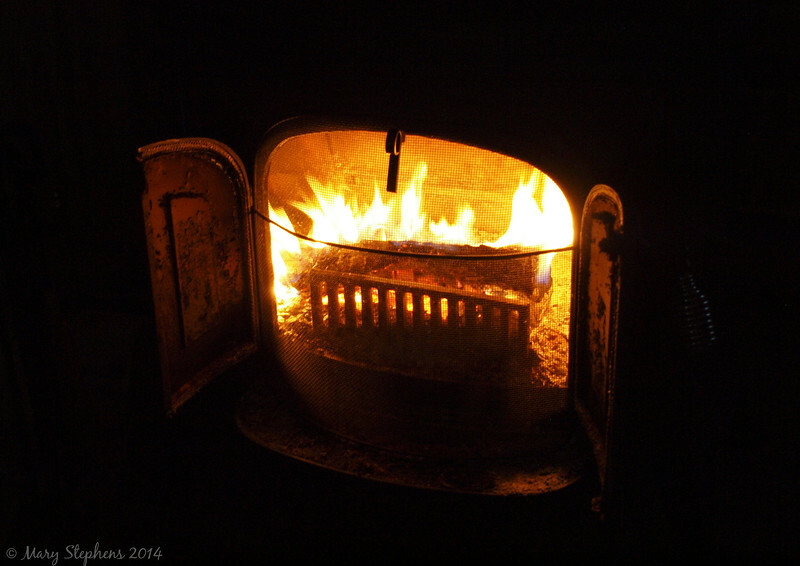 Short Thought – Are You Warming or Chilling the Lives of Others? Psalms 91:2-4 I will say of the LORD, He is my refuge and my fortress: my God; in him will I trust. Surely he shall deliver thee from the snare of the fowler, and from the noisome pestilence. He shall cover thee with his feathers, and under his wings shalt thou trust: his truth shall be thy shield and buckler. This seems to have been one of the coldest winters I remember in Austin since we moved here over 30 years ago. Most of the Austin winters have always been too mild for me. I tolerate the heat of summer and love the cold of winter. There are some Austinites who do not share my enjoyment of this winter weather. Of course, if I had to work out in the cold or lived in an area where the winters were much colder and longer in length, I might not feel as enthused about winter. Some of the things I enjoy about winter are sleeping under thick blankets, wearing sweaters, basking in the warmth of a fireplace, coming into a warm, cozy house, drinking hot chocolate with melting marshmallows and in the rarest of Austin times having to stay home because of inclement weather. I guess when I look at what I like about winter, it looks like I like it most when I’m doing things that will keep me warm. These thoughts made me think of a quote I read: “This cold world needs warmhearted Christians”. Indeed, this world is a spiritually cold place. I don’t enjoy its kind of coldness; however, it gives us Christians an opportunity to be someone’s spiritual blanket, sweater, fireplace, heater or hot chocolate. That unsaved person we meet at the grocery store, the school, the work place, etc. who seems to be chilled to the bone, burdened with the cares of this world needs our smile, our encouragement and most of all our witness of the Savior and His wonderful salvation. Even that saved person who may be going through a wintry time in his life is in need of our warmth. I’m reminded of an old saying that something “warms the cockles of my heart” i.e. brings joy and warmth to the innermost part of a person. Only Jesus can bring that kind of joy and warmth. Christians can become cold when they stray from the Lord’s warmth. In that state, we cannot give off the warmth to the unsaved who are truly the coldest of all. When one is cold, it doesn’t do him any good to shake hands with someone who has cold hands. When one is cold spiritually, there is the same effect on another. Psalm 34:8 says, “O taste and see that the LORD is good: blessed is the man that trusteth in Him.” God’s provision of salvation, His daily provisions and love are truly warmth for the cold in heart. May those around us never feel spiritually cold from having been around us but desire to know the One Who keeps us spiritually warm. We are having a break now from the cold weather we were having. I've been thankful for the sunshine and warmth, for the most part. Today I got a little too warm. It's funny how we adjust to the temperatures and then find a big change challenging sometimes. My friend Marsha, who wrote this, likes winter more than I do. :-) I like the resting time of winter when there's less work, but cold weather is not my favorite thing! I thought her spiritual application was thought provoking and useful, though. I do enjoy to see occasional snow, just to look at for a day or two and then be done with it.